The carbon in a graphite pencil and the carbon in a diamond have different molecular structures. In diamonds, carbon atoms arrange into a three-dimensional cube-like crystal structure, while in graphite carbon atoms form two-dimensional hexagonal rings, which then bond to other layers of hexagons with weaker forces. This is why graphite rubs off onto a page of paper, forming a mark as a thing layer of graphite, while a diamond will remain whole and leave a scratch or cut on the paper. In 1963, British Royal Air Force engineers seeking to use carbon to form lighter, tougher materials for aircraft discovered that by making thin sheets of carbon graphite, rolling them up into thin tubes, then covering them in epoxy resin, they created carbon fiber sheets. 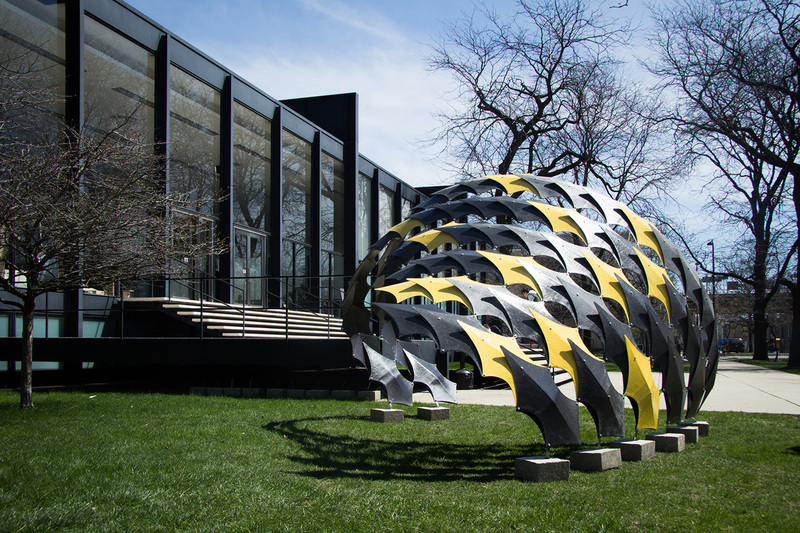 Carbon fiber is now used in sports, medical prosthetics, and architecture and construction. 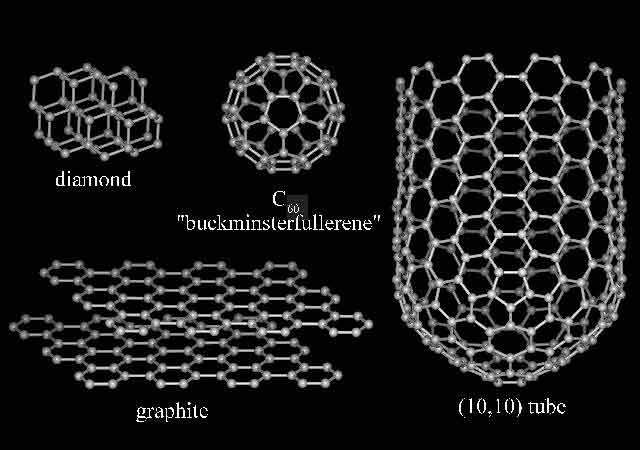 In 1985, Professor Harry Kroto and a team of scientists at Florida State University discovered another three-dimensional form of carbon molecule, composed of 60 carbon atoms in a soccer-ball-shaped structure they nicknamed "buckyballs" in honor of architect Buckminster Fuller's geodesic domes of the 1950s and 1960s. In 1991, Japanese physicist Sumio Iijima published information about carbon nanotubes (a nanometer, or one-billionth of a meter, extremely tiny tubes), which has engaged hundreds of nanotechnology teams around the world to make lighter, stronger materials in the future.